The blues is a vocal and instrumental form of music based on a pentatonic scale and a characteristic twelve-bar chord progression. The form evolved in the United States in the communities of former African slaves from spirituals, praise songs, field hollers, shouts, and chants. The use of blue notes and the prominence of call-and-response patterns in the music and lyrics are indicative of the blues' West African pedigree. The blues has been a major influence on later American and Western popular music, finding expression in ragtime, jazz, bluegrass, rhythm and blues, rock and roll, hip-hop, and country music, as well as conventional pop songs. The phrase the blues is a synonym for having a fit of the blue devils, meaning low spirits, depression and sadness. An early reference to this can be found in George Colman's farce Blue devils, a farce in one act (1798). Later during the 19th century, the phrase was used as a euphemism for delirium tremens and the police. 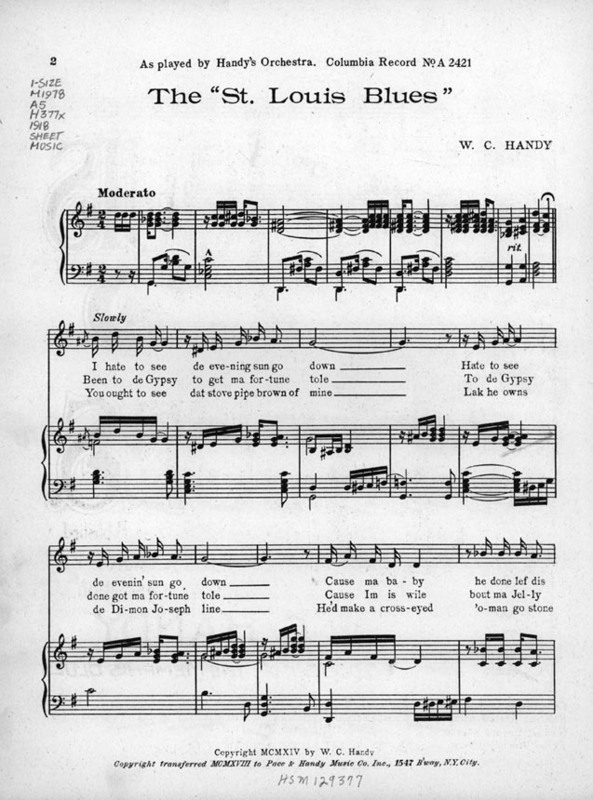 Though usage of the phrase in African American music may be older, it has been attested to since 1912 in Memphis, Tennessee with W. C. Handy's "Memphis Blues".In lyrics the phrase is often used to describe a depressed mood. John Mayall and the Bluesbreakers with Eric Clapton album cover. This album is one of the most representative of the British blues and a milestone in the history of blues.